New England Orbital Services highly skilled personnel take a hands on approach to working with all of our customers to meet or exceed each specific requirement, whether it be short run R&D or high volume production. Our facility has 12,000 square feet of clean manufacturing and office space which includes a 1,000 square foot clean room. 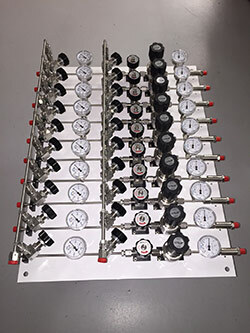 Our machining capabilities allow for fabrication of custom manifolds and brackets, along with custom weld fixtures. Long term, established relationships with suppliers in other areas, such as; sheet metal, electropolishing, passivation, powder coating, painting, irridating and anodizing allow us to better serve our customers and their manufacturing needs. Our job is to make your job easier with our unprecedented customer service. We understand the needs of our customers.